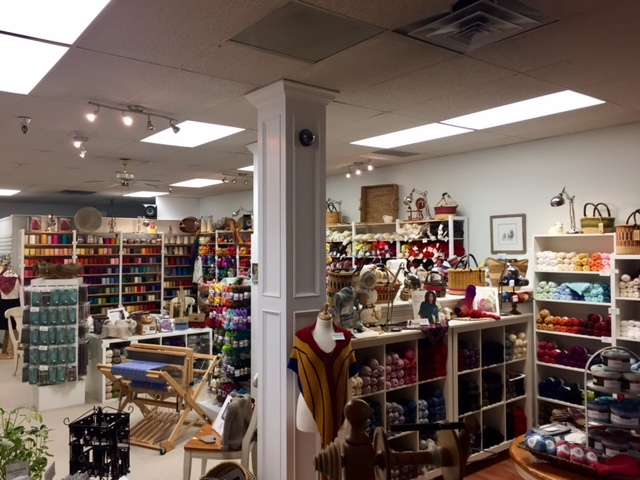 In business since 2004 and in our retail space since September 2017, we offer knitting, weaving, spinning and felting yarn, fibre, tools and classes. We carry Ashford, Schacht, Majacraft, Louet and Harrisville equipment and offer expert advice to help you along the way. We are proud to be one of Canada’s Top 10 Ashford dealers 4 years in a row. We carry a large selection of knitting yarns from Canada and beyond including an entire wall of Briggs and Little from New Brunswick, a wonderful knitting and weaving yarn. In addition to knitting yarns we carry needles, notions, bags, baskets and many other fibre related tools and goodies. During Woolith Fair we’ll be offering 10% off all regular priced yarn and fibre and an in-store draw for a Big Blue Moma Basket containing some of our favourite knitting notions. In addition, we’ll have selected yarns on sale from 20-50% off for this week-end only. Yarn Crawl Hours: Friday: 10am - 5pm; Saturday: 11am - 5pm; Sunday: 12pm - 5pm.